Well a cold Canadian winter is definitely here. Your car, truck or SUV feels it the most while exposed daily to the elements. 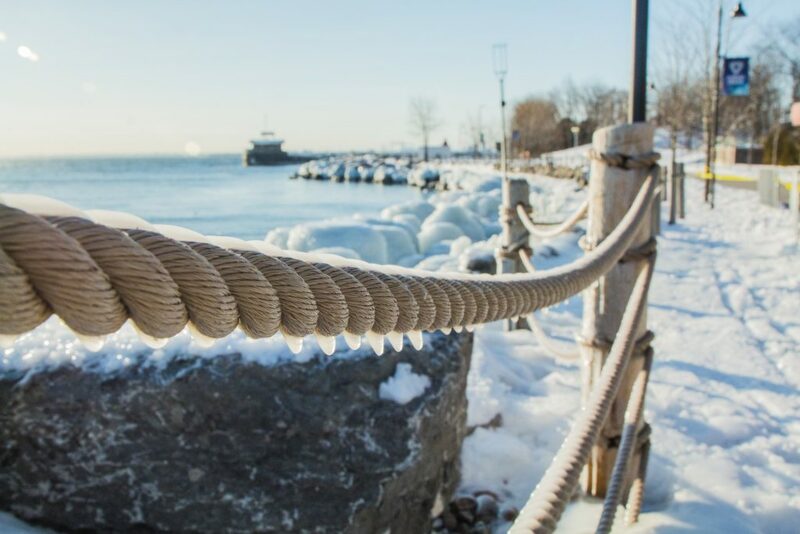 Salt contaminated snow, ice and slush build up on the exterior and bottom of your car working there way into every crevice while the interior floors of your vehicle are subjected to sand, salt and moisture daily. This wears down the look of your vehicle and makes it easier for value-reducing rust to form on your exterior panels and underneath your carpets. Give your vehicle a break from the onslaught of winter with an auto detailing special from Budget Auto Detailing. 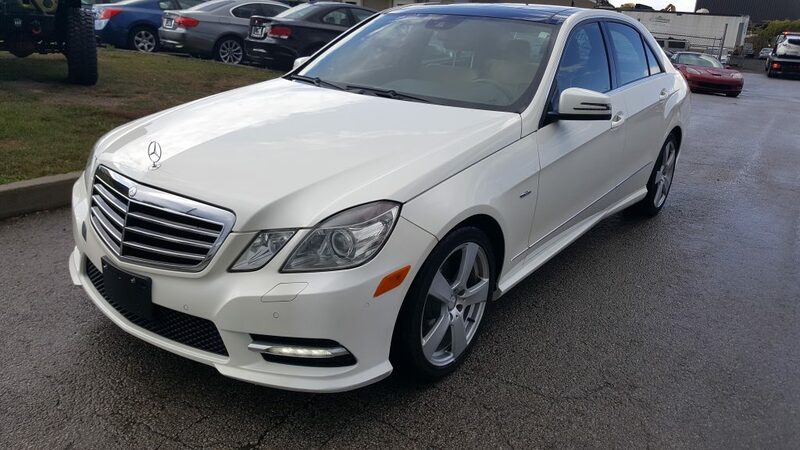 We offer three unique car detailing packages that suit all needs and budgets. 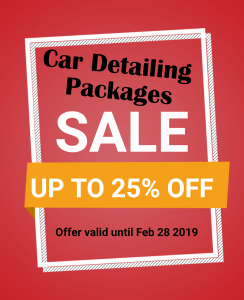 Right now you can save 25% on all of our car detailing packages until February 28th 2019. 1. The Semplice package posted price is $125 which is a great value on its own. Right now that detailing package is discounted to $93.75 and includes everything listed in the Semplice package. 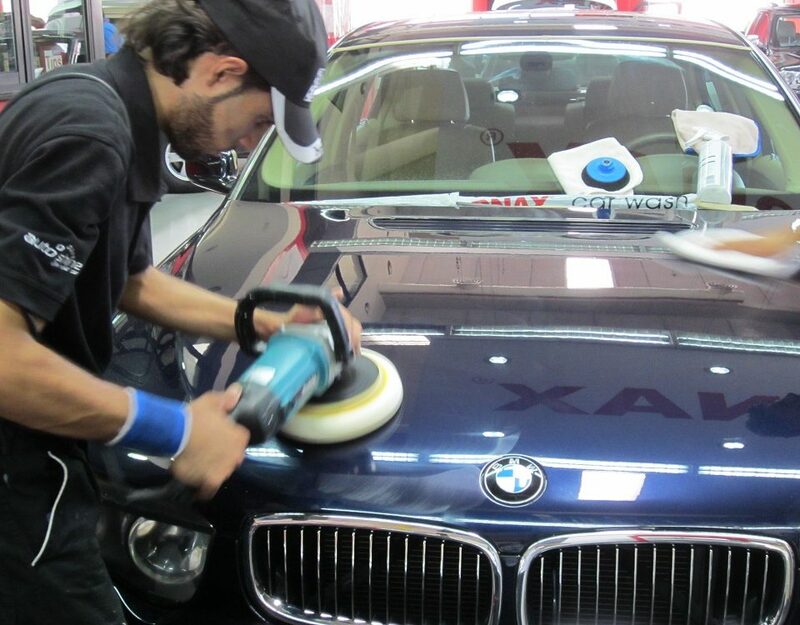 Including 2 hours of quality detailing work on your car by trained & experienced car wash professionals. 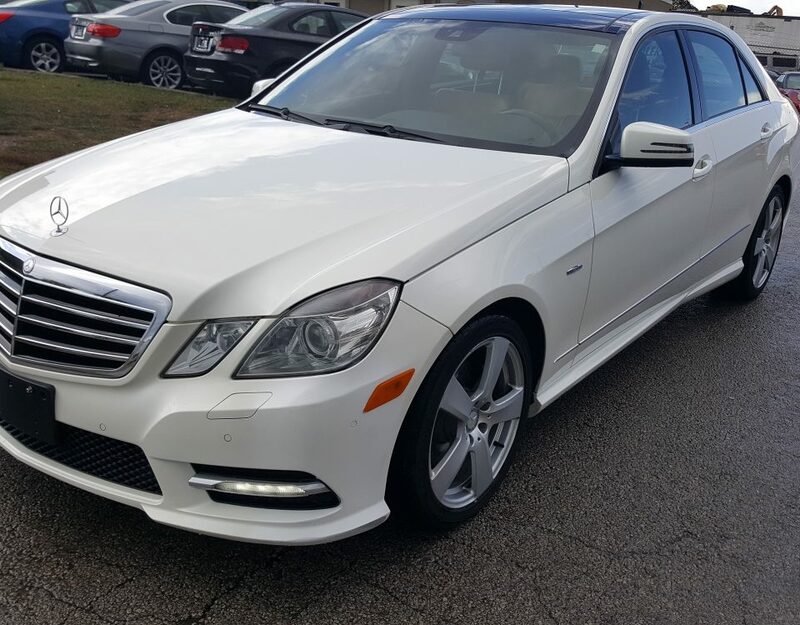 Starting with the exterior your vehicle receives an exterior hand wash & dry, exterior and interior windows are cleaned, wheels and tires are cleaned plus tires receive a shine application. For the interior you get a full vacuum service, the door panels are fully wiped down and the rest of the interior surfaces freshly cleaned. Book an appointment to get the promotional Semplice package before February 28th 2019. 2. The Economico car detailing package posted price is $185 but you can save $46 if you book now to get your vehicle done during our special promotion. The promotional price of $136.75 is a great value when you consider all of the exceptional detailing work your vehicle will receive in the Economico detailing package. This package includes more than 3 hours of care for your car. It has everything in the Semplice auto detailing package plus steam cleaning of cloth seats or conditioning of leather seats, removal of those difficult salt stains and shampooing of your vehicle’s mats. This package is the perfect choice to deal with the wear and tear of a Canadian winter on your car and at a great price. Book an appointment to get the promotional Economico package before February 28th 2019. 3. The Superiore car detailing package, the king of our auto spa packages. 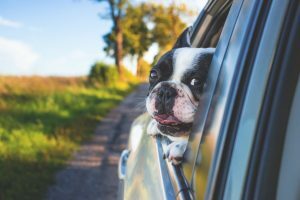 This is a great package for trucks and SUV’s or for vehicles that carry pets. The posted price is $245 which is still a great deal but right now with our winter auto detailing promotion you can get the same car wash service for $183.75, that’s a phenomenal deal. Your vehicle will be pampered with 4+ hours of detailing care. This package includes everything in the Semplice & Economico plus full steam cleaning of crevices & vents while wheels and tires will receive our deep decontamination service to remove break dust and built up road grime. Your interior surfaces like the dash, vents, console, ashtray and doors will be dusted & wiped. To finish it off our team will do a professional clay bar rub and wax application to give your vehicle that right-off-the-lot look. Book an appointment to get the promotional Superiore package before February 28th 2019. Make your drive a little easier, let your headlights shine further and stay safer with a headlight restoration service. At $65 it’s a great value for your safety and peace of mind when your behind the wheel this winter. Let us get under the hood and give your vehicle’s engine some love with our engine shampoo service. It will clean the visible areas, reduce the chance for rust to build up and extend the life of your vehicle. A great addition to any of our packages at just $45. 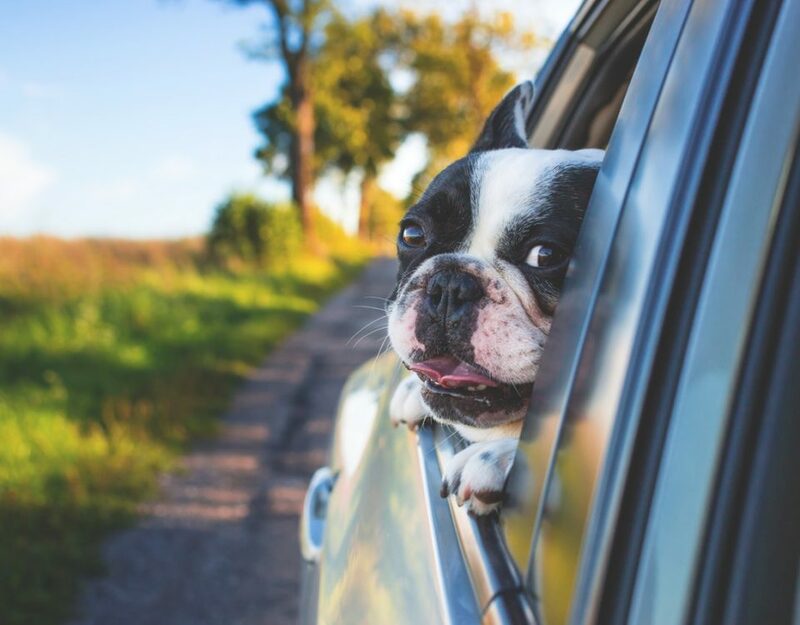 Of course you love your furry friend but how much do you love the hair left all over the inside of your car? That’s ok, Budget Auto Detailing offers both hourly pet hair removal as well as including it as part of our Superiore car detailing package. Book an appointment today and spend some time with your pet while we deal with the hair. Burlington Auto Detailing is a proud member of the Burlington community and provided auto detailing services for Burlington, Oakville, Waterdown and the surrounding Halton areas. Call today to book an appointment for your car, truck or SUV.